Just say "Aaron's" and you'll save money. At Aaron's there are no boundaries. If you want to do something, just ask. Aaron's is first in the phone book for more reasons than one. Aaron’s Mortuary & Crematory is filling an important and growing niche for people who don’t have relationships with traditional mortuaries. 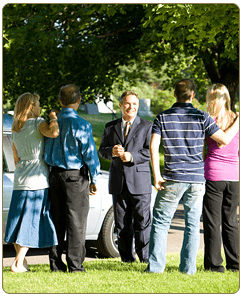 Seeing a need for affordable funeral services without sacrificing quality, Aaron’s opened its doors in 2002 and has enjoyed tremendous success and acceptance since then. 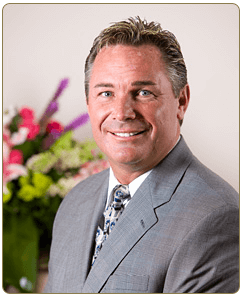 Funeral Director Mark Cwalinski, also a licensed pre-needs insurance agent, comes from a different background than most funeral directors. Because of this background, he brings a fresh and exciting approach to funeral services. He enjoys helping families in their time of need and especially enjoys saving them money on the wide array of services provided by Aaron’s. From cremations to traditional funeral services, Aaron’s is equipped to handle it all and Mark Cwalinski is there to provide guidance every step of the way. In his spare time, Mark enjoys spending time with his wife and family follows his passion for golf and buying and selling sports memorabilia. Our best advertising is the families we’ve served. If you’d like to speak to some of them please let us know. We’ll be happy to provide a long list.